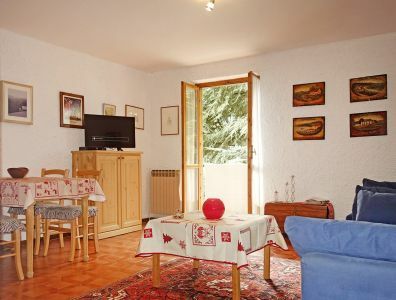 Morgex - Via Condemines, panoramic studio with balcony and cellar on the second floor of a building close to the center. The flat, in good condition, consists of an entrance hall with a built-in closet, bathroom with shower, a large living room with a south-facing balcony and a small kitchenette. Heating oil with thermo-valves, 40% fixed, 60% on consumption. Large condo parking and garden. Additional information on our website, www.isigest.it; if you like you can phone +39 348 0041020. Skype: isigest.